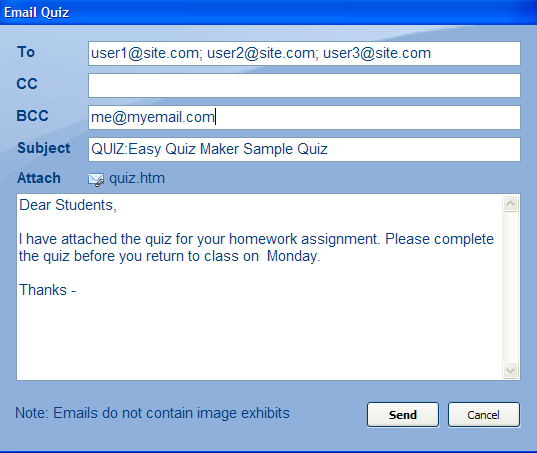 Easy Quiz Maker 9 makes it very easy to email a quiz to a recipient (or multiple recipients). You will notice that I ..
1. entered multiple recipients in the ‘to’ field — which can be done by using a semicolon in between each recipient. 2. I Blind Carbon-Copied (BCC) myself so I will receive the same email. 3. I changed the default email message (which by the way, now becomes the default message until I change it again). 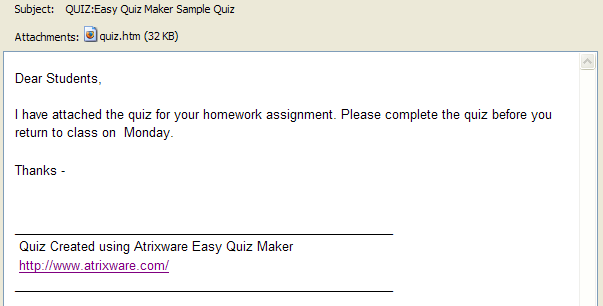 As you can see, the quiz is sent as an attachment (quiz.htm). 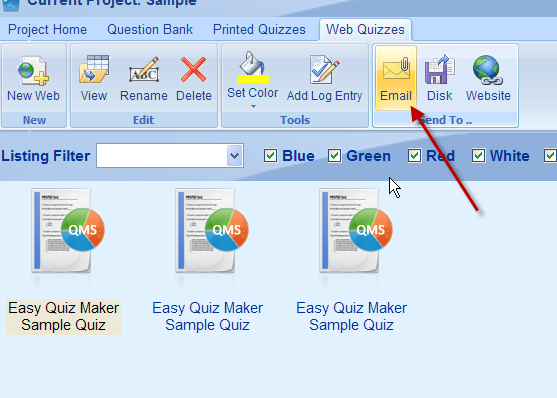 If you are wondering if you can collect the responses/scores of the quiz, the answer is YES, as long as you have configured the quiz to use the Atrixware QMS to receive the student responses. This entry was posted on Friday, April 3rd, 2009 at 11:02 am	and is filed under Anthony, Easy Quiz Maker. Both comments and pings are currently closed.